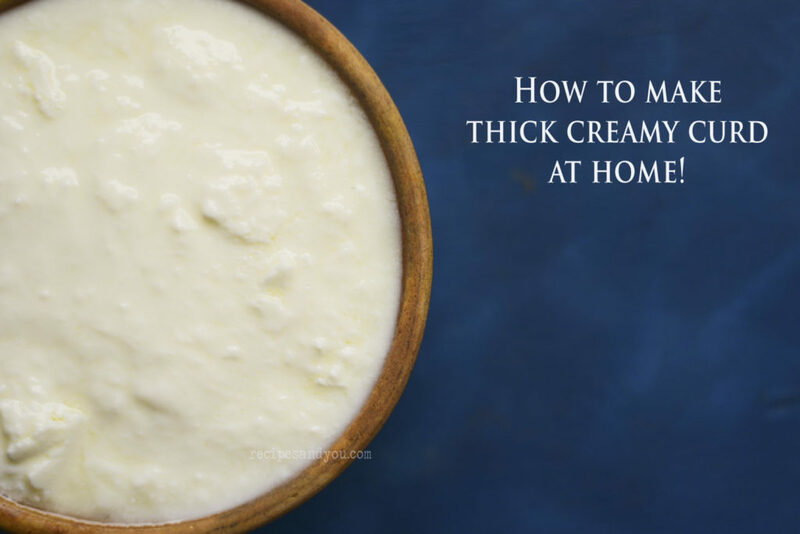 Homemade Curd | Dahi-How to make thick,creamy and rich curd at home. Homemade curd |Homemade Dahi| Rich and creamy Dahi at home| How to make rich and creamy and sweet curd / Dahi at home. A tried and tested method to make fresh, creamy, rich and sweet Dahi at home in no time. Once you start to make curd at home, am sure you will never buy it from the market again. 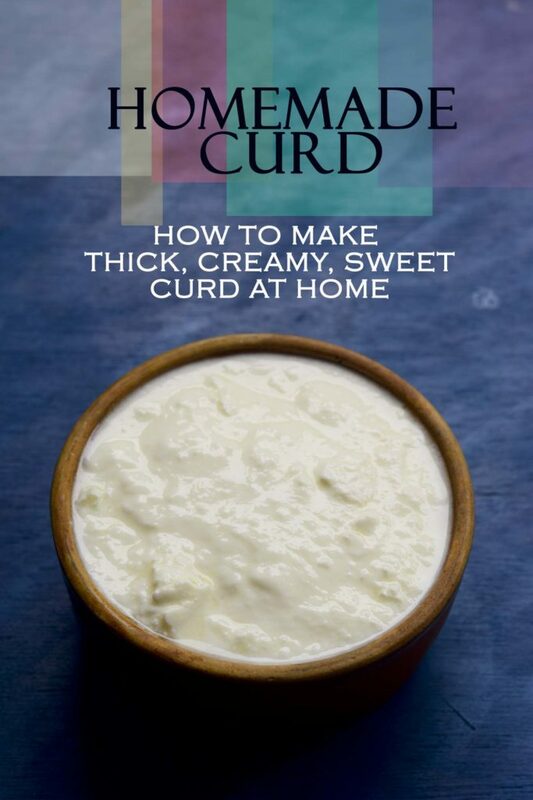 Make Homemade curd is a routine chore in an Indian household. Especially, during summers it’s a must to have dahi/curd with our lunch or breakfast. Be it plain yogurt, raita of some kind, aloo chaat raita or just plain Greek yogurt for marinades and salads. You need this recipe to make thick curd, which can be used for many recipes. 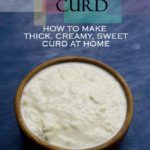 Although it’s simple to make Homemade Curd/ Homemade Dahi, but it could be tricky to make it right every time .This is a no fail recipe and has never disappointed me. There are still certain tips that would help you to make it right every time. Please use good quality full cream milk. Freshly boiled milk is best for making homemade creamy Dahi/curd. The milk should not be boiling hot when you add the starter, as l will either spoil the milk or you’ll have sour dahi or your dahi will become like a jelly. The temperature of the milk is of prime importance and can really make a difference in the curd texture. Use a fresh starter or the starter of a thick and creamy dahi/curd. Powder milk curd starter usually gives a jelly like texture. Always keep the dahi/curd in a warm place covered with a cloth for making the perfect dahi and also in lesser time. The starter should be evenly dissolved and mixed with the milk to have a uniform texture. Taking care of these minor points while preparing dahi, will ensure the perfect results and a rich and creamy dahi/curd. A tried and tested method to make fresh, creamy, rich and sweet Dahi at home in no time. Once you start to make curd at home, am sure you will never buy it from the market again. Boil 1 kg of full cream milk. Let it cool till lukewarm. Do a finger test. Dip one finger in the ,milk and if its just warm ,then its ready for making curd. In another flat bottom bowl (preferably ceramic) pour the curd and mix well with a wisk. Pour over the warm milk slowly over it. This will allow a good mix. Once poured , mix once again with a spoon to ensure even distribution of the starter curd. Cover with a lid and then cover with a hand towel. Keep it at a warm place undisturbed for 3-4 hours. In summers, the curd will be ready in 3-4 hours or sometimes less. But in winters this may take longer and cometimes upto 6-7 hours if its too cold. In winter, you may cover the bowl with a warm cloth too before keeping it in seclusion.